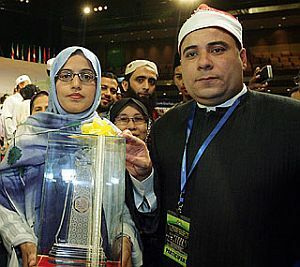 Ms. Samia Khanan, 35, from Pakistan has won the 52nd international Al-Quran Reading (Qirat) Competition 1431 Hijrah that took place at the Putra World Trade Centre in Kuala Lumpur, Malaysia from 27th July to 3rd August 2010. The recitation Competition is the international Islamic Quran reading event that is held annually since 1961 in Malaysia founded by first prime minister of Malaysia, Tunku Abdul Rahman. 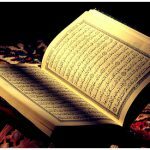 The World’s Best Quran Recitation competition has been won by a Pakistani qariah for the first time in the history of Pakistan. Her achievement is praiseworthy and truly inspirational for youth. She enables us to be proud especially during this time of distress when Pakistan is going through a tough phase of its history as the most horrible plane crash and century’s worst floods are testing its nerves. They were among 76 participants from 47 countries taking part in the competition with the theme “Enhancing Brotherhood to Empower Ummah”. The reciters were judged by a panel of 16 judges chaired by the director-general of the Malaysian Islamic Development Department (Jakim), Datuk Wan Mohamad Sheikh Abdul Aziz. The panel included judges from Saudi Arabia, Syria, Iraq, Egypt and Malaysia. 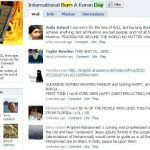 The contest sought to instill and foster love for the Al-Quran among Muslims, particularly the youth. 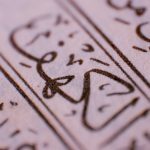 Furthermore, the objective is not merely to memories the holy book but to study what it contains, including the advice and teachings. Malaysian King, Yang di-Pertuan Agong Tuanku Mizan Zainal Abidin honored Samia Khanan with cash prize of US$10,000, a trophy, souvenir and certificate of participation. Brunei Darussalam’s Female Quran-reader, Dayang Nurfaezah binti Haji Embran is the first runner-up while second runner-up was Monaifah A. Bogabong Alawi from the Philippines. The champion in the men’s category was a participant from Egypt, Hani Abdel Aziz Ahmed. The first runner-up was Malaysia’s Wan Ainuddin bin Abdullah and third place went to Abdul Wadud K. Ismail from the Philippines. Thank you Samia for making us proud. 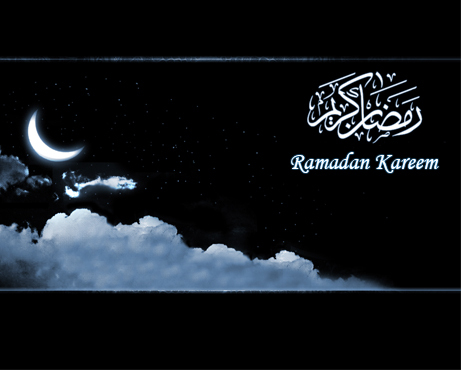 May God shower his blessings on you and your family and fill your life with light of happiness and serenity. Ameen.